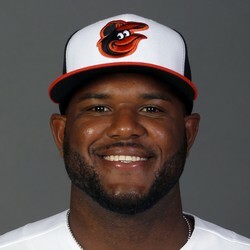 Hanser Alberto went 1-for-5 and drove in two runs on Monday as the Orioles defeated the Athletics by a 12-4 score. Alberto has been getting some chances to play at third base for the Orioles and is making the most of his opportunities. The 26-year-old infielder is hitting .421 with three RBI over 19 at-bats. Alberto is a career utility infielder and will cool off soon enough and is not worth adding in fantasy.